We are a leading centre for supporting and incubating social innovation; creating new enterprises, ideas and solutions to tackle some of our most pressing problems. We work in partnership to explore new models for systems-level innovation and change. Over the years, we have supported hundreds of new initiatives to thrive. Our experience in administering multi-million-pound funds has shaped the design and delivery of The Young Academy, our flagship accelerator and impact investment fund that supports social ventures tackling educational inequality. 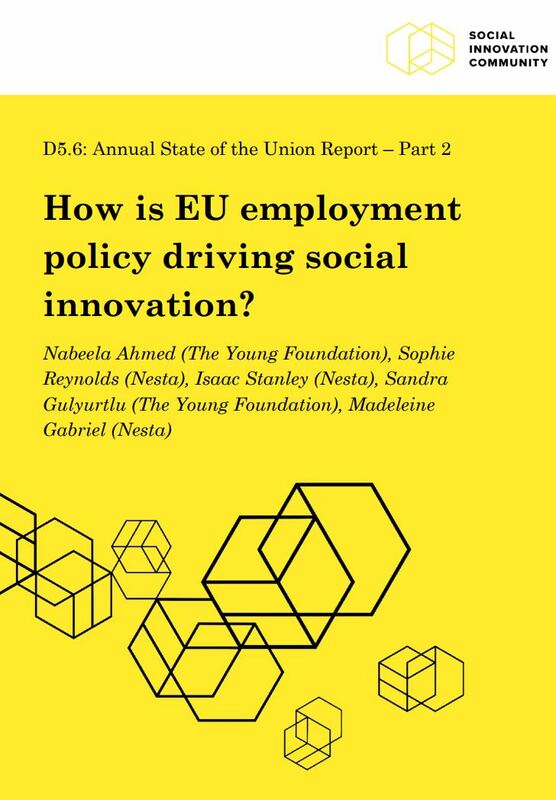 Social innovation policy in Europe: where next? Investing in Social Growth: Can the Big Society be more than a slogan? Here's to creating a happier world! We’re supporting ventures Reimagining Rent and there’s ripe scope for many more to tackle challenges in the private rented sector. High Impact Investment - What's gender got to do with it? What has gender equality got to do with social innovation? For disruption in education? Join us! Can't handle the heat? You're not alone. Are you ready to be Better By Design?